We left Paris and flew back to Berlin, a very short trip. It was a beautiful day and the views from the plane of the country side were stunning. It still is hard to believe how green Europe is compared to Australia. 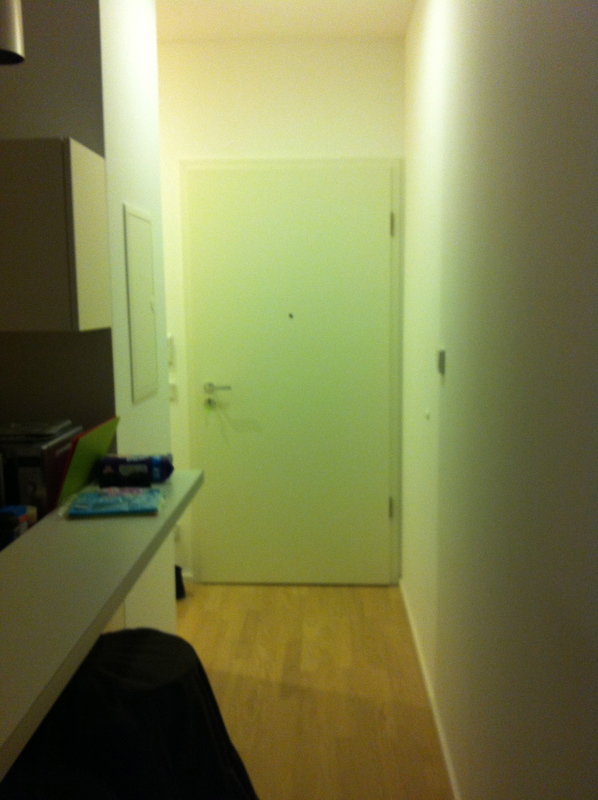 I stayed in an airbnb apartment in Kreuzberg on Mariannenplatz. It was brand new, had never been let before. There was still builder’s dust on the floor. 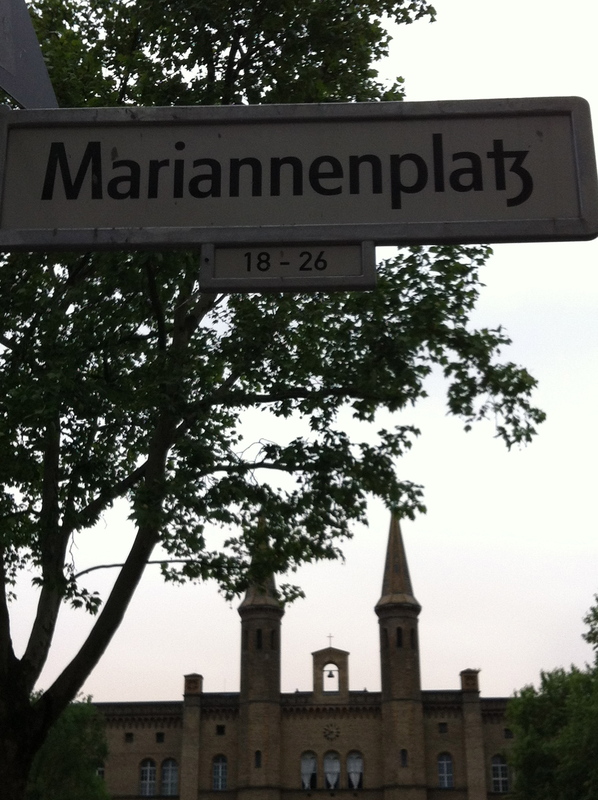 Did a quick trip to the supermarket as nothing is open in Berlin on a Sunday, only the small family run stores. 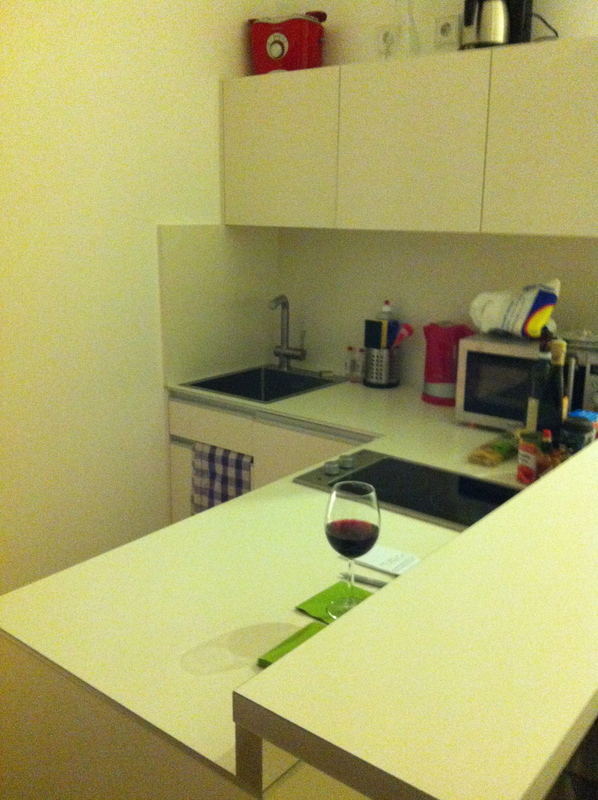 This apartment is opposite a church in a park on the 4th floor, but it has a lift which is a blessing after Paris. All the mod cons, washing machine, dishwasher, vacuum cleaner, microwave, stove and the best thing ever, underfloor heating. You come in and take off your jacket and a t shirt is all you need (and a glass of wine). The other really cool thing about the buildings in Berlin are the windows. They have one central handle and if you turn it downwards it opens like a door. Turn the handle up and the top of the window opens slightly. They are really great, you can have the top of the window open and it is still very secure, no-one can get through the opening, but you have the air flow. Simply brilliant. The next day was raining but the church bells were lovely to listen to. I love Berlin, the ‘straightness’ of the buildings and the architecture. There are no frills on most of the buildings, they are square and in proportion. There is so much to see and do in Berlin. The musuems are plentiful and a 3 day pass is good value. The history is quite astounding. 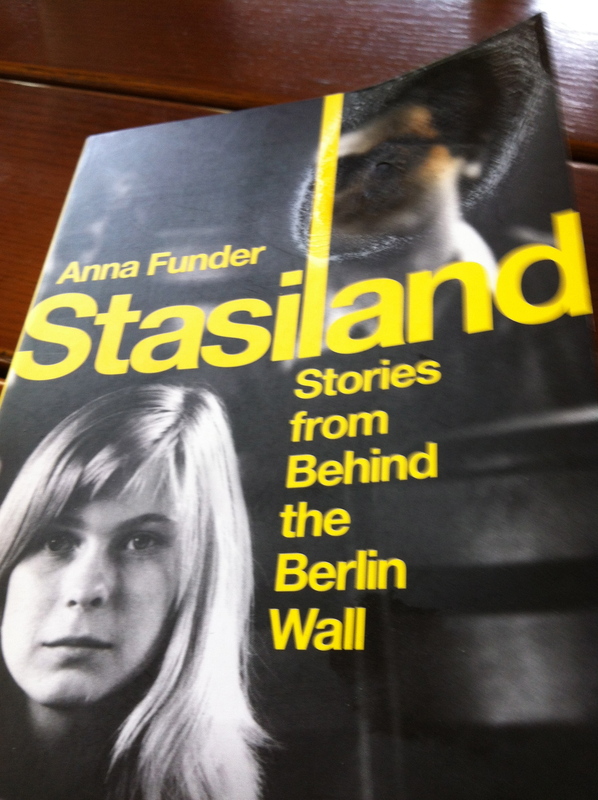 I read ‘Stasiland’ whilst here and it was great to be able to be in the places that Anna Funder was writing about. I accidently set my copy alight on a candle in a cafe! 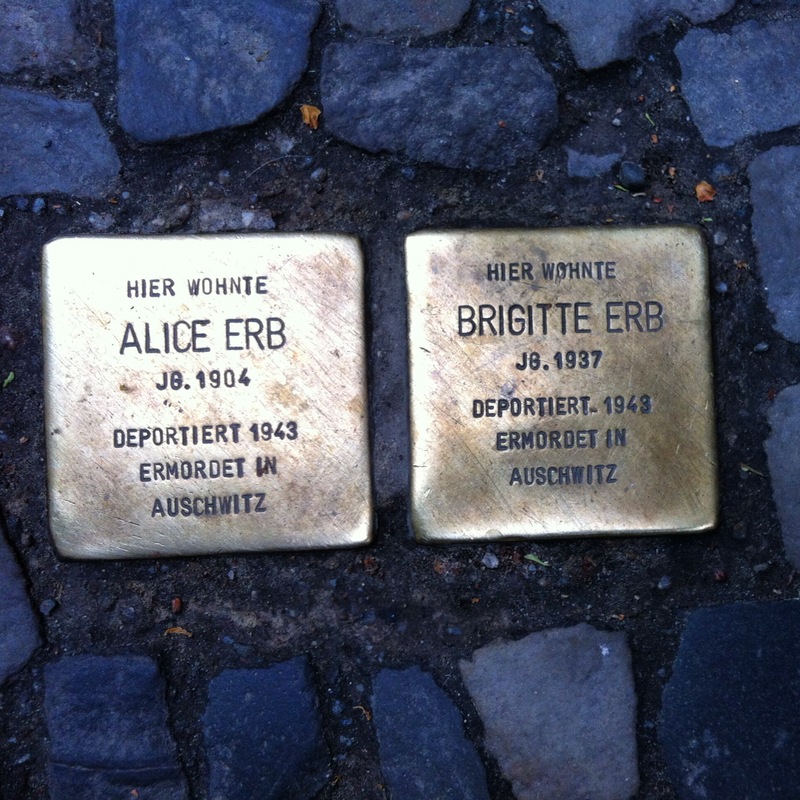 The Berliners do not shy away from their past, there are memorials in the pavement to Jews who were taken and murdered in concentration camps. I didn’t visit any camps, it’s not something I wanted to do. There is also the Jewish musuem, well worth a visit and part of the pass. 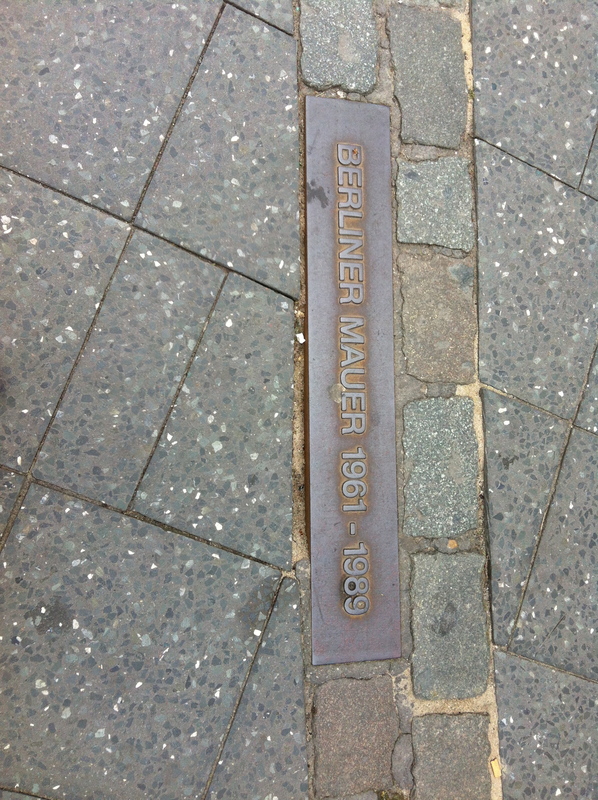 The Berlin Wall was almost demolished when some bright spark thought it might prove to be a fantastic tourist attraction so they left what was still standing. There is not a lot of it left but there is a two brick track set into the road where the wall stood and every couple of yards there is a metal plaque with the date. The transport system is also amazing. You never wait more than 4 minutes on any line for a train. The one ticket allows you to travel on trams, trains or buses. I bought a monthly ticket for €80 which worked out well even with the side trips away. I never had to worry about buying a ticket and I could get on and off every form of transport. It had a couple of days to run when I left so I gave it to a friend of Luc’s. It was easy to get around and the maps were good. If I went somewhere I hadn’t been before I took a photo of the platform for coming back. I only once got on a train gong in the wrong direction but when I got to the first station I knew from the map that I was going the wrong way and got off and went back. 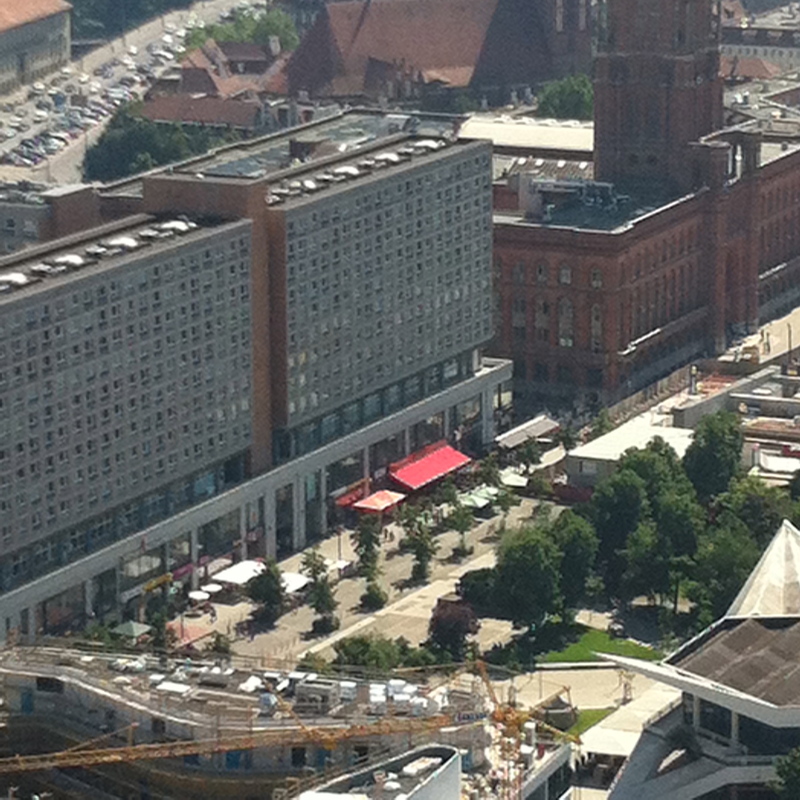 One of the best kept secrets of Berlin is the Park Inn in Alexanderplatz. You can go up to the roof and have a beer and look out over Berlin, for pennies. When we were there, maybe 5 other people were also. 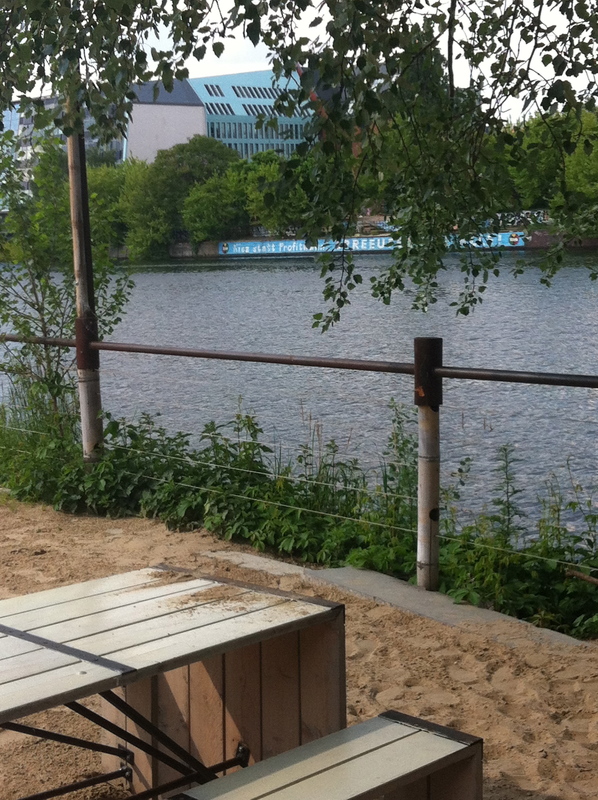 From my apartment, I was a few blocks from the Spree which has cafes and restaurants and bars along the banks. 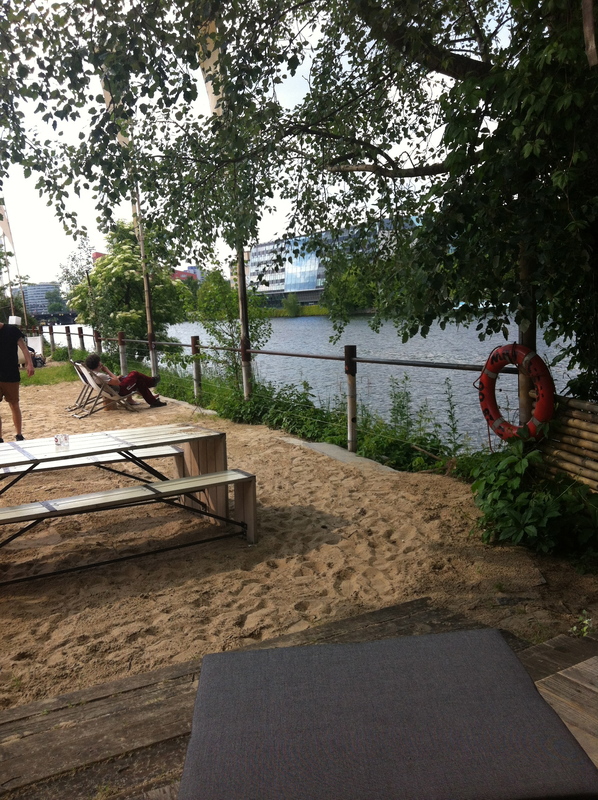 I found one which was like a beach, sand and deck chairs and right on the river. There was a cool looking restaurant nearby but checking on the internet for a booking showed it was booked for over a month! Sadly, I didn’t have the time to wait. The weather was mainly good, a few rainy days but mostly sunny and sometimes quite hot. As soon as the warm weather starts, everyone is out in the parks. 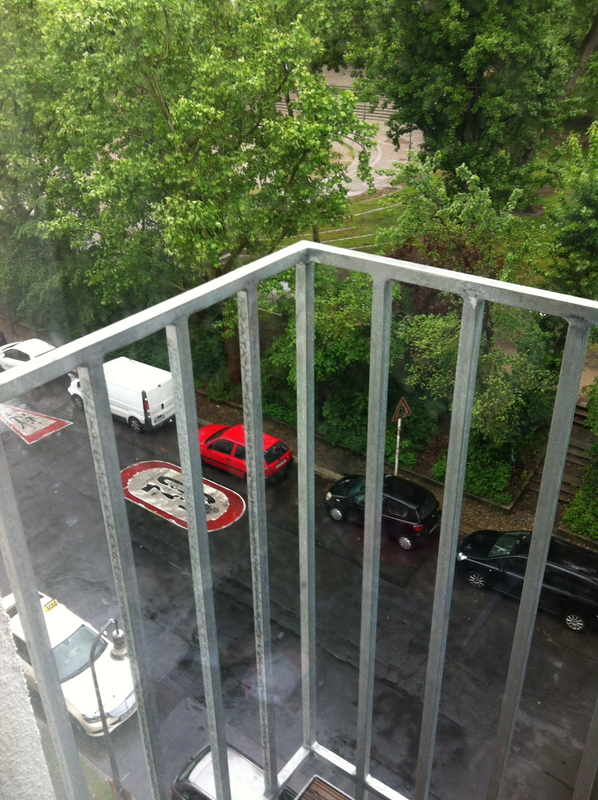 There are heaps of parks all over Berlin as most everyone lives in apartments. 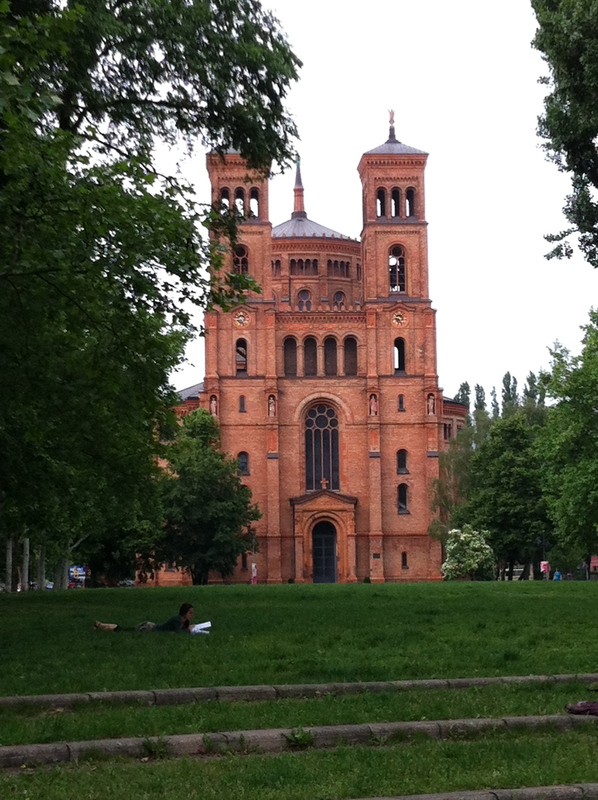 It is a really pretty, green city with the Spree running through the middle. I highly recommend a visit to Berlin and Paris and I am looking forward to returning. 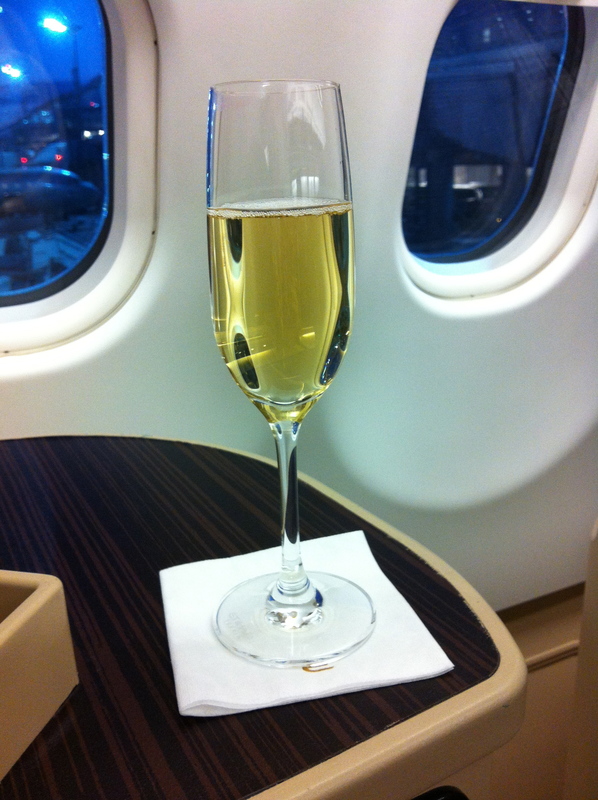 I flew home business all the way which was lovely but it’s still a bloody long way. 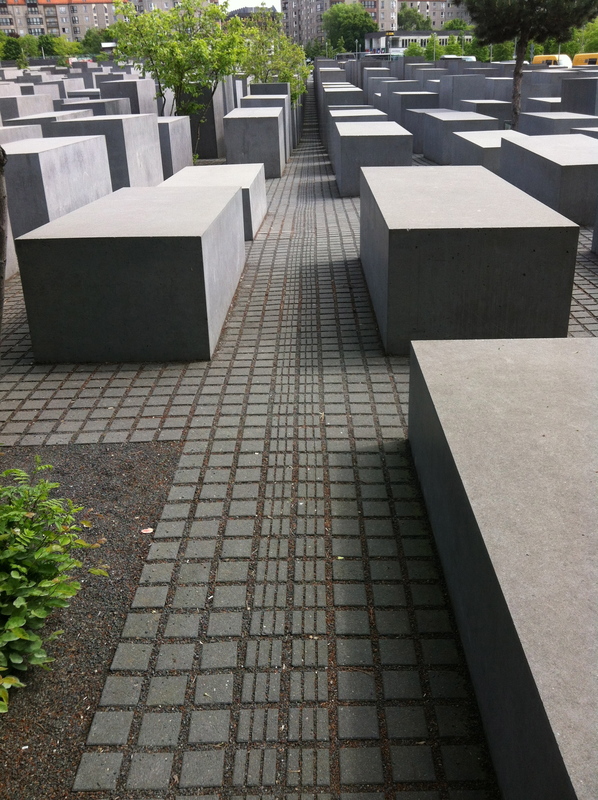 This entry was posted in family, travel, Uncategorized and tagged Berlin. Bookmark the permalink.